The University of California’s “Your Family Forest” is a comprehensive educational program that employs video, on-demand interactive eLearning modules, in-person workshops, and applied research in support of family-owned forest management. Topics covered include silviculture, forest health, reforestation, estate planning, business management and family heritage. 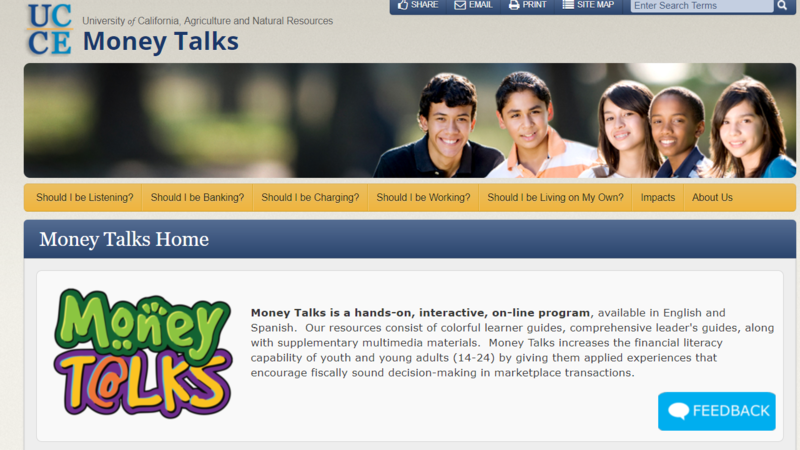 The Money Talks Program offers teens the opportunity to learn money management techniques in three different formats: magazine-style teen guides, classroom curriculum, and interactive website. The website upgrade project relied on modernizing existing content provided by the client and creating a multimedia experience that engaged learners and worked across multiple devices. Development included the creation of branding guidelines, instructional videos and graphic assets.